Add the extra touch of love and care in every gift with the Personalised Thank You Gift Tags. Contemporary beautiful gift tags to match your wrapping paper for that lovely occasion. 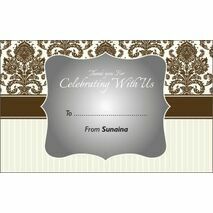 Personalise the gift tags with your Name & Wishes printed on. 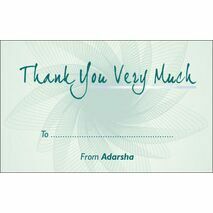 Minimum quantity for "Thank You Gift Tag TY GT 0411" is 20. 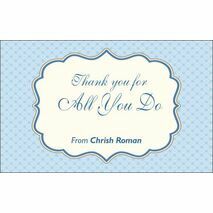 Minimum quantity for "Thank You Gift Tag TY GT 0412" is 20. Minimum quantity for "Thank You Gift Tag TY GT 0413" is 20. Minimum quantity for "Thank You Gift Tag TY GT 0414" is 20. Minimum quantity for "Thank You Gift Tag TY GT 0415" is 20. Minimum quantity for "Thank You Gift Tag TY GT 0416" is 20. Minimum quantity for "Thank You Gift Tag TY GT 0417" is 20. Minimum quantity for "Thank You Gift Tag TY GT 0418" is 20. 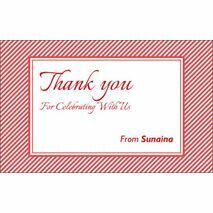 Minimum quantity for "Thank You Gift Tag TY GT 0419" is 20. Minimum quantity for "Thank You Gift Tag TY GT 0420" is 20. Minimum quantity for "Thank You Gift Tag TY GT 0421" is 20. Minimum quantity for "Thank You Gift Tag TY GT 0422" is 20. Minimum quantity for "Thank You Gift Tag TY GT 0423" is 20. Minimum quantity for "Thank You Gift Tag TY GT 0424" is 20. Minimum quantity for "Thank You Gift Tag TY GT 0425" is 20. Minimum quantity for "Thank You Gift Tag TY GT 0426" is 20. Minimum quantity for "Thank You Gift Tag TY GT 0427" is 20. Minimum quantity for "Thank You Gift Tag TY GT 0428" is 20. Minimum quantity for "Thank You Gift Tag TY GT 0429" is 20. Minimum quantity for "Thank You Gift Tag TY GT 0430" is 20. 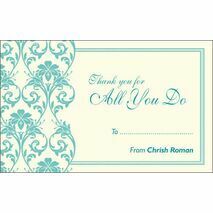 Minimum quantity for "Thank You Gift Tag TY GT 0431" is 20. Minimum quantity for "Thank You Gift Tag TY GT 0432" is 20. 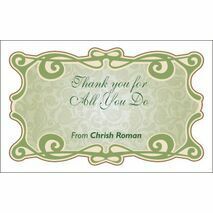 Minimum quantity for "Thank You Gift Tag TY GT 0433" is 20. 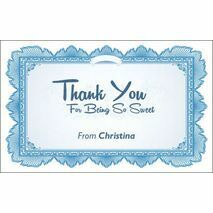 Minimum quantity for "Thank You Gift Tag TY GT 0434" is 20.